Be warned: Living in a Mexican coastal town off-season may require working in a bathing suit. One snowy day in Colorado a few years before moving to Mexico, I rode up to Winter Park to ski with a woman from Boulder who worked as a director for IBM. She had not seen her boss, whose office was in New Jersey, for six years. Like another friend of mine who is a healthcare consultant, my ski buddy will probably continue to make money in retirement consulting part-time from her home. As I sit in my own office in Mexico, I wonder what would be the difference if either of these woman decided to consult from Mexico? If you're not ready for a full-time life of leisure and are wondering where you will work after retirement, maybe you should think in terms of what country rather than what company. Many people do a scaled back version of what they did in their life career as a way to still make some income in retirement. A fortunate few decide to do it from Mexico. I have already talked to a few finance and financial planning professionals who live in popular expat cities like San Miguel de Allende, although you have to to a little research to figure out they are there. Their websites show U.S. headquarters photos in the masthead and have U.S. contact information. Sometimes their partners are in the States and the semi-retired ones are taking in the sun. Talking on the phone with them is the same as it would be calling from across town. I'm not sure consultants every really retire completely. Like lawyers, they always seem to like to keep a desk somewhere to the end of their days. Today, your financial, I.T. or marketing and SEO consultant could be living anywhere in the world. If you have skills in these areas, one of those consultants could be you. When formatting my book, I hired a company in India. They did a great job at a phenomenal price. We Skyped regularly, even though our meetings had to be at 10:00 at night because of the 12-hour time difference. If they can do business with me from India, then why couldn't you? Internet service has improved a lot in the last few years in Mexico, and services like Keepgo or Skyroam which provide you a mobile WiFi hotspot, can ensure that you always have internet service as long as you have phone service. People are often surprised that Mazatlán is in the same time zone as Denver. Figuring out the time differences between your clients and you shouldn't be any more confusing working from Mexico than it already is! You can also get assistance from tools like Everytimezone that shows how your time zone overlaps with those of colleagues and clients. Are you good at book-keeping or accounting? That's another profession that would translate well to making money after retirement from abroad. For many years, my C.P.A. was in another state, as often happens when you have a business relationship you're satisfied with and move to another city. Online security has advanced so much, you no longer have to worry (any more than you do when only operating domestically). What other jobs might one do in retirement abroad? What about medical transcription? What about contract virtual assistants, which seem all the rage right now for former secretaries who have whiz bang technical skills but don't want to be chained to a desk. Here in Mazatlán, I know a few I.T professionals quietly programming by day and taking in the culture by night. I saw one recently with his Apple laptop in a restaurant working while doing a fine job of maintaining a conversation with a Mexican couple across the table. Internet service has become very reliable in the larger cities here in Mexico. I rarely experience more than half an hour down. While not a retiree, a friend of mine's son decided after a few years of work after graduation that he'd travel though South America while designing clients' websites. Digital nomads like him can be seen in rooftop bars and coffee shops all over Mexico. If you're a technically-savvy retiring graphic artist, you might be able to maintain a few clients for retirement income from an office in another country. Regardless of your age, by living in a cheaper country and still making U.S. dollars you will be saving money while making money, especially if you are moving from a larger city in the States with a higher cost of living. You can also think about turning a hobby into extra income in retirement. A favorite for expats is photography. Mexico offers a rich catalog of sights and colors for the enthusiast or artist. If you haven't moved yet or need to meditate on what you want your next career step to be, don't forget the possibility of Mexico as a place to incubate a new business plan. Getting away can be place to do research on your next big project or business without distraction. Clearly, working from Mexico has been much more of an adventure. In my first year here I took take a water taxi to my gym for five pesos every day and got to eat my first ripe mango. These long-term stays with a larger purpose that incorporates work are like mini-lives that are much richer to me than just travel. Get started yourself with this Ultimate Guide to Landing a Remote Job. Why should immersion experiences be only for the young? You can be a grown up with a job to do and still have the adventure of immersing yourself in a new culture. "Break Free: The Ultimate Guide to House-sitting" - an Amazon book. Digital Nomads Roam the World While You Rot in Your Office - I didn't say it, Mashable did! A Blog from Craig Bradshaw in "Expat Focus" who is working remote from his company in San Diego. Next up: Even with its glitches and headaches, when you do get it all sorted out, technology can make your evenings at home in Mexico just like are are at home....if you want them to. Most Recent: Having a room-mate is a great way to ease in to a new town. 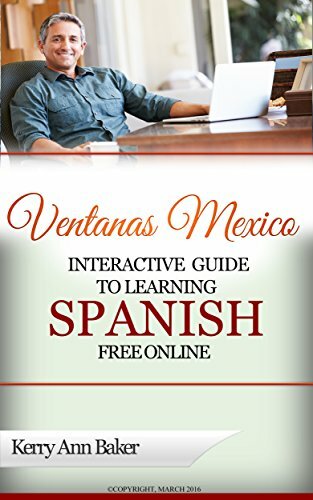 Kerry Baker a partner with Ventanas Mexico, which helps people explore the idea of full or part-time living in Mexico, and author of "Interactive Guide to Learning Spanish Free Online," a curation of the best free Spanish tools on the web (with lesson plans). Learning Spanish takes years. Get started today! 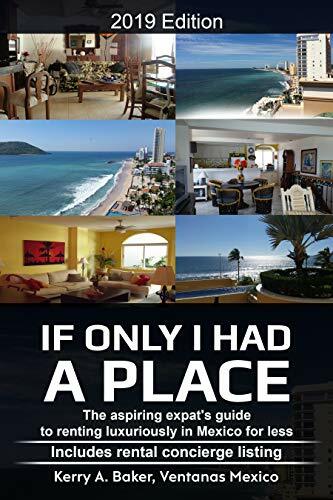 Also recently released, "If Only I Had a Place" - a guide to renting luxuriously in Mexico for less. Includes a directory of rental concierges in the most popular expat areas in Mexico.